- Protect your phone number. - Get multiple phone numbers for Craigslist, dating, sales and others. - Anonymous texting without revealing your primary phone number. - Phone number changer to protect your identity. - Get a second phone number line without the high cost of adding a new phone number. - Get a free 2nd phone number for Android. Download free with free call and text credits. - Multiple phone numbers for Craigslist, dating, sales and others. Donwload now to text anonymously with free credits. - VPN Proxy keeps your IP Address unknown. - VPN Unlimited allows you to access the content you want. - Record phone conversations with Call Recorder for iPhone app. - Record Calls for incoming and outgoing call. 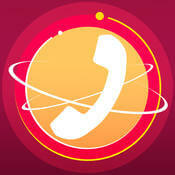 - Record Phone Calls to and from 100 International destinations. - Email and share your scans as PDF. - Optical Character Recognition OCR technology that converts your scan to text. Scan documents and save as PDF from Phone! Scan & Fax from Phone! - Over 20 million users use Photon to make their browsing private and anonymous. - Top 30 overall iPad app since launch. 4.5 star reviews. - The #1 Paid Flash player for iPad, iPhone & iPod Touch. - Flash Player for Android now available! - Flash Player for Windows now available! - Share and give limited access to others without giving away your master password. - Top 5 Paid Business app for iPad. Top 100 overall app. - Edit your Open Office, Microsoft Word, Excel and PowerPoint documents on your iOS device. - Integrates with Dropbox, Google Docs and Box. Just $4.99 for a limited time!